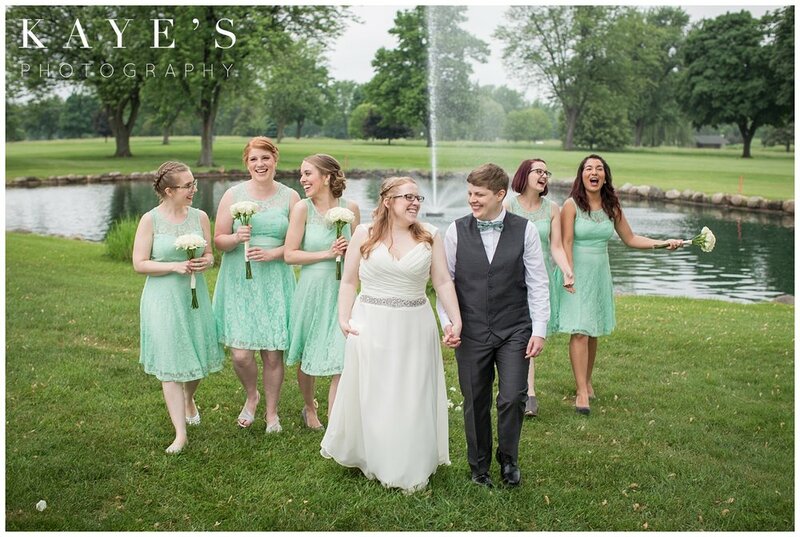 When meeting with Molly & Elizabeth at our studio, I knew I just had to capture their wedding that was occurring at Spring Meadows Golf Course in Linden, Michigan! Molly and I just fit together with our lists and organization but Elizabeth was the perfect fit for Molly to keep her stress down!! The way these two went back and forth with all the plans on my couch and how excited they were just made me that much more excited for their morning wedding! Then when they told me that french toast and bacon were being served it was confirmed they were my favorite people! The morning of their ceremony everyone was a bit bummed as there was rain in the forecast but Molly and Elizabeth pressed on and did not fret at a little bit of rain! We thought we were in the clear but as soon as guest started making their way to the ceremony site the sprinkles started but you know what? I didn't hear one complaint everyone grabbed an umbrella and proceeded to the ceremony so excited to get these two MARRIED!!! Molly & Elizabeth's first look definitely took the cake! They are just so in love and genuine with each other Elizabeth was just so taken with emotion! These are exactly what first looks are all about! As I was telling you about that rain that started well as soon as the bridesmaids started coming down the aisle the rain STOPPED everyone was able to put away their umbrellas and enjoy the ceremony! It was completely PERFECT!! All I know is that I was so honored to capture this amazing day and I am sure that their guests were super pumped for these Strawberry Daiquiris they looked sooo yummy! 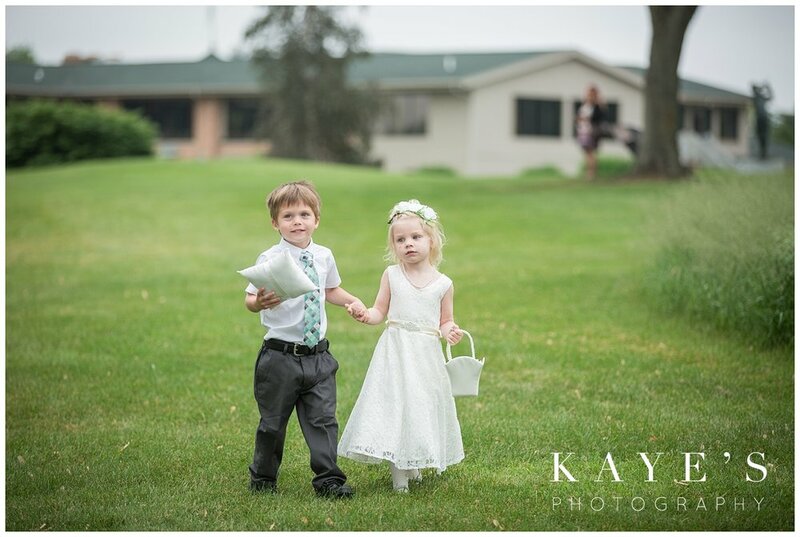 Thank you again Molly and Elizabeth for choosing Kaye's Photography to photograph your wedding day! Interested in Kaye's Photography to capture your wedding day email us at info@kayesphotography.com or click the button below!